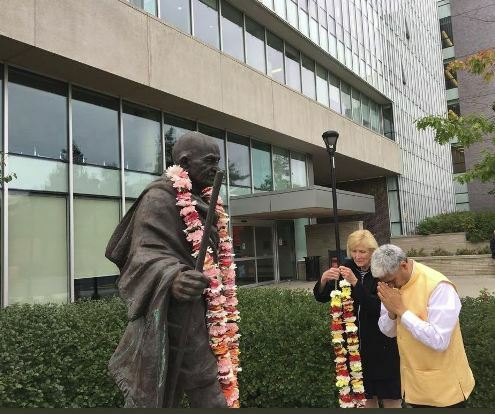 Celebrations to mark the commencement of the150th Birth Anniversary of Mahatma Gandhi started with High Commissioner Vikas Swarup garlanding and paying tributes to the statue of Mahatma Gandhi at Carleton University of Ottawa on 30 September 2018. 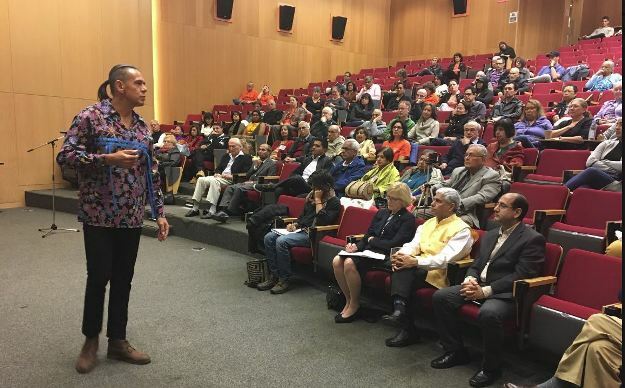 This was followed by a lecture on Gandhiji hosted by Mahatma Gandhi Peace Council (MGPC) of Ottawa in collaboration with HCI. The speaker, Prof Taiaiake Alfred talked about Bapu’s concepts of Satyagraha and Swaraj. 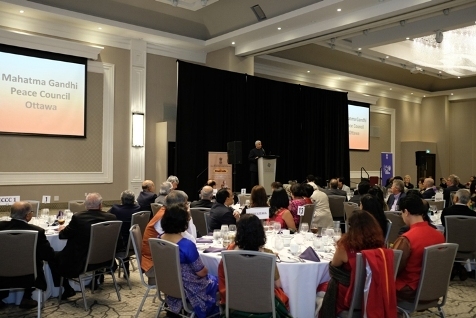 On 2 October 2018 both MGPC and HCI collaborated to celebrate 149th Birth Anniversary and to mark commencement of 150th Birth Anniversary celebrations of Gandhiji at an impressive function at the Infinity Convention Centre attended by more than 250 guests. 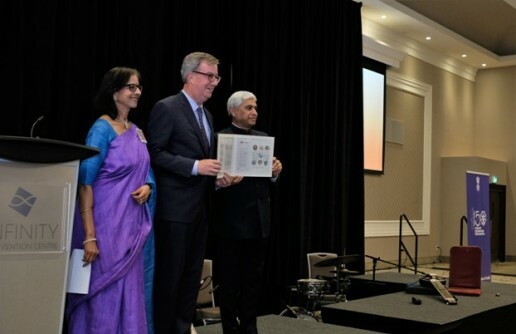 On this occasion, High Commissioner, Mayor of Ottawa city, Mr. Jim Watson together with Ms. Rashmi Gupta, President of MGPC released special commemorative postage stamps issued by Department of Posts, Government of India, to mark 150th Birth Anniversary of Mahatma Gandhi. High Commissioner also addressed the gathering. The other guests of honor included Hon. Bardish Chagger, House Leader for the Government and Hon. Douglas Roche, a former Senator, MP and diplomat. 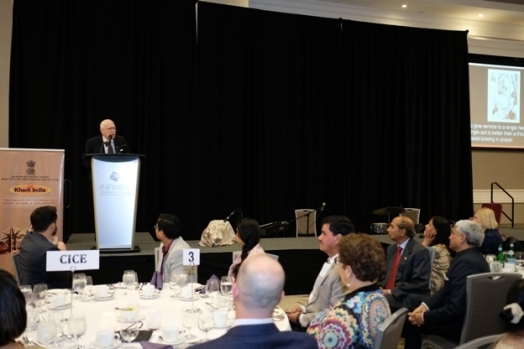 Mr. Roche was the keynote speaker and spoke on the topic 'Gandhi and the Human Right to Peace'. 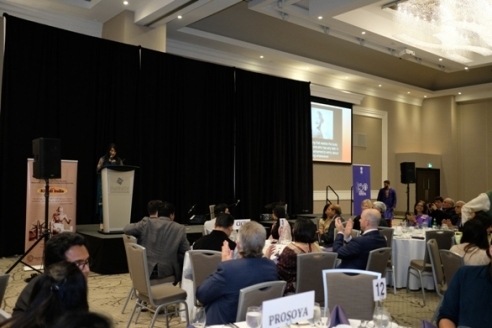 Several other MPs, Ambassadors and prominent figures from the world of business, academics and members of Indian community in Ottawa attended the celebrations. This was followed by a brief cultural programme comprising of rendition of Gandhi's favorite Bhajans. The medley version of bhajan 'Vaishnav Jan To Tene Kahiye" was also released to mark the celebrations. 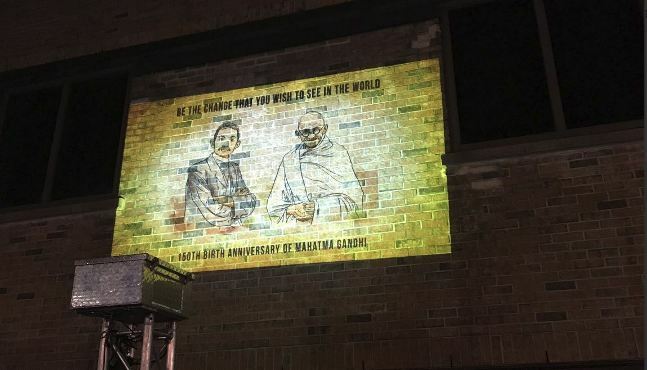 The same evening, the Chancery facade was lit up with projection of Bapu's images and teachings. Smt. Rashmi Gupta, President of MGPC welcoming the guests. Release of special commemorative postage stamps by High Commissioner, Mayor of Ottawa and President of MGPC. 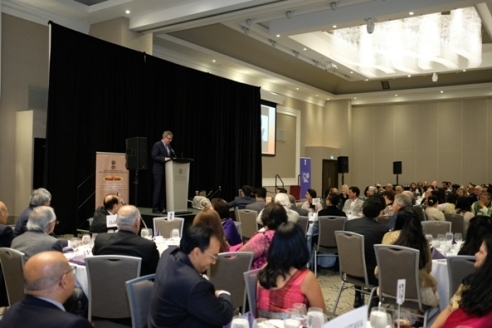 Mayor Jim Watson addressing the gathering on commencement of 150th Birth Anniversary celebrations of Mahatma Gandhi at ICC on Tuesday, October 2, 2018. 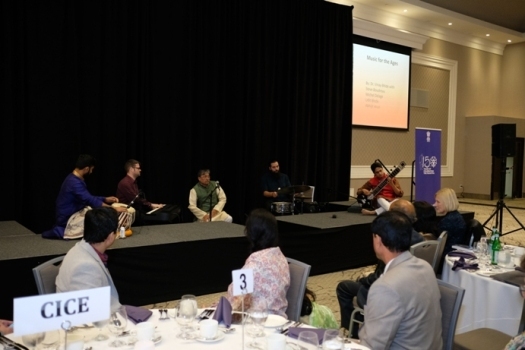 Singing of Bhajans on commencement of 150th Birth Anniversary celebrations of Mahatma Gandhi at ICC on Tuesday, October 2, 2018. 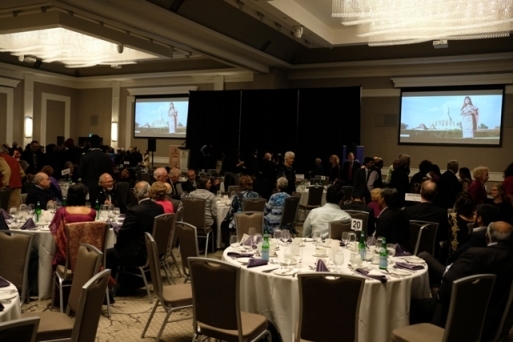 Audience in attendance watching the medley version of Bhajan "Vaishnav Jan to Tene Kahiye" on commencement of 150th Birth Anniversary celebrations of Mahatma Gandhi at ICC on Tuesday, October 2, 2018.